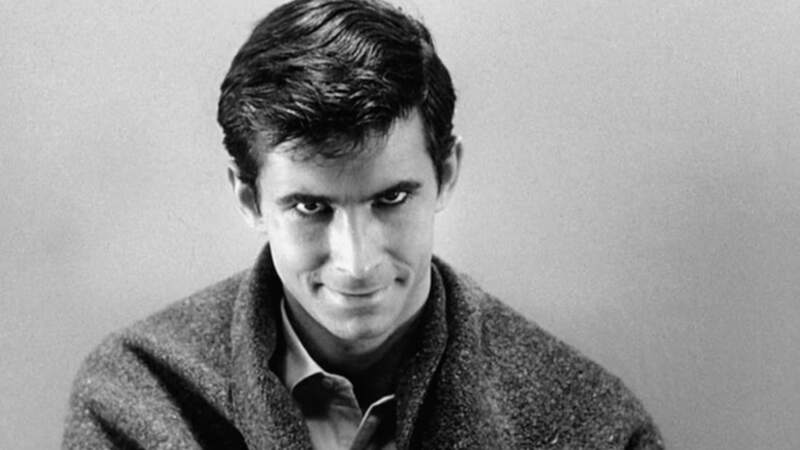 Quaint, quiet Connecticut—home of the Frisbee and the first speed-limit law—is also apparently home to the most Norman Bates types. A recent study spotted by Quartz ranked each U.S. state by the number of psychopaths who are estimated to be living there, and the results may surprise you. Following Connecticut, the top five states by psychopathy are California, New Jersey, New York, and Wyoming (New York and Wyoming tied). The least psychopathic state, on the other hand, is wild and wonderful West Virginia. Psychopathy on its own is not a clinical diagnosis. Rather, it's a subset of antisocial personality disorder, whose symptoms include egocentrism, manipulativeness, impulsivity, lack of remorse, and an inability to form intimate relationships, just to name a few. The study, posted on the Social Science Research Network (SSRN), partly drew data from previous research on the “big five” personality traits—Extroversion, Agreeableness, Conscientiousness, Neuroticism, and Openness to Experience—and their prevalence in each state [PDF]. Ryan Murphy, the study's author, said there's a correlation between these personality traits and some of the traits associated with psychopathy—namely boldness, meanness, and disinhibition. “Boldness corresponds to low neuroticism and high extraversion, meanness corresponds to low agreeableness, and disinhibition corresponds to low conscientiousness,” Murphy told Quartz. 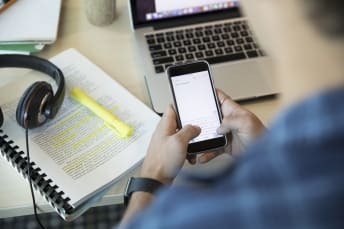 In the earlier study of personality scores by state, Connecticut showed high levels of extraversion and comparatively low levels of conscientiousness. The District of Columbia was also taken into consideration and showed higher levels of psychopathy than any state in the country. However, Murphy said this isn’t a fair representation because D.C. is an urban area and cannot be accurately compared to a larger, more geographically diverse region. It must be noted, though, that these findings have only recently been pre-published and are not yet peer-reviewed. 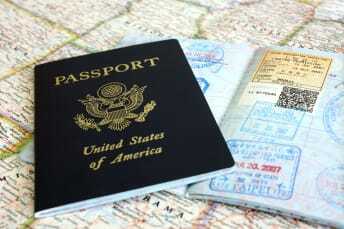 Germany's capital and largest city, Berlin is a sprawling, hectic metropolis and a historic center of the continent. Its eight centuries of history show up in the names of its various neighborhoods; here, we break down a few. Affluent Charlottenburg reflects its namesake: It was christened for Sophia Charlotte of Hanover, queen consort of Friedrich I of Prussia, and it’s where Charlottenburg Palace, their former home, is located. Friedrich became king in 1701, two years after the palace’s construction was finished. Before that, the area was home to a village called Lietzow, and the palace was originally named Lietzenburg. Its name was changed to Charlottenburg in 1705, when the queen died, and Lietzow was officially incorporated into the settlement in 1720. Located in Kreuzberg (“Cross Hill,” for the iron cross on the Prussian National Monument for the Liberation Wars that tops the hill), Graefekiez and its main street, Graefestraße, are named in honor of Albrecht von Graefe, a Prussian eye surgeon and early pioneer in the study of ophthalmology. Von Graefe is buried in the Protestant cemetery in the nearby Jerusalem Church, and in 2015 an area school was named after him. Neukölln started out in 1200 as a village called Rixdorf. It became Neukölln in 1912, and in 1920 was incorporated into Greater Berlin. The name translates to "New Cölln"—a reference to Cölln, an old medieval town that was once located in what is now the nearby Mitte neighborhood. Even more confusingly, Neuköln is the name of both a borough and the smaller neighborhood contained within it. Like Neuköln, Mitte is both the name of a borough and a smaller locality within it, and its name isn’t quite as apt as it once was. Mitte translates to “middle” and was once the center of Berlin, before areas around the city were annexed. It’s still considered by many to be the heart of Berlin, though, especially thanks to its location and history—during much of the Cold War, it was surrounded almost entirely by the Berlin Wall and was the location of Checkpoint Charlie, the famous crossing point between East and West Berlin. Another neighborhood within the borough of Mitte, Moabit’s name is probably derived from French Huguenot refugees who were living in Prussia during the time of prince-elector of Brandenburg Frederick William circa 1685. Supposedly, they named the area either after the Biblical kingdom of Moab—seemingly because Elimelech, Naomi, and their family sought refuge there during a famine—or the Plains of Moab, where the Israelites fleeing Egypt camped before entering Canaan. (A less popular theory is that it comes from the word Moorjebiet, which means “swamp” in the Berlin dialect—Moabit was originally an island before the swamp surrounding it was filled in by sand—or even a corruption of a French term such as mon habitit—roughly meaning "my settlement.") The area was also once known as Pulverwiesen (“powder point”) when it was used as a parade ground by the military, since it was near several gunpowder factories. Despite its pleasant name, the neighborhood of Wedding is one of the poorest in Berlin, and its origin story has nothing to do with marriage. It’s named for Rudolf de Weddinge, a 12th-century nobleman whose forest farmstead stood on the banks of the Panke River, and caught fire at least twice before being abandoned in the 1700s. In the mid-18th century, the area was built up as a spa and health resort, and it later became a seedy pleasure district, rife with gambling and prostitution. Today, it’s a working-class area known for its urban gardens, bohemian cafes and galleries, and strong community of artists. Tiergarten is the name of both a neighborhood and a huge park included in the neighborhood; its name translates literally to “animal garden” in modern German. But tier once referred not to all animals but to game animals, and in this case, to deer specifically. In fact, the Tiergarten was a deer preserve until the 18th century, and a deer is still featured in Tiergarten's coat of arms. The park itself, one of the largest in Germany, doesn’t have a lot of deer in it, but it does contain the Berlin Zoological Garden and Aquarium. Trendy Prenzlauer Berg shares a name with its hill (“Prenzlauer Hill”), a Prenzlauer being a person from the German town of Prenzlau, which is about 60 miles north of Berlin. The town of Prenzlau, in turn, takes its name from the Slavic men’s name Przemysław, itself a medieval version of the Polish name Przemysł, meaning a person who is clever or ingenious. No word on which Przemysław of yore inspired the town’s name; there were several dukes and kings of nearby Poland who bore the name, but the town seems to have existed before any of them did, with the earliest known mention of the village being in 1187. Literally “Red Island,” the roughly triangular slice of land called Rote Insel within Berlin’s Schöneberg locality isn’t anywhere near a lake, river, or ocean. The reason it’s called an island is because it’s entirely isolated by train tracks on all sides, making it accessible only by bridges that pass over the track. The “red” part comes from the area’s strong left-wing/democratic socialist population during the late 19th and early 20th century—their official color was red. 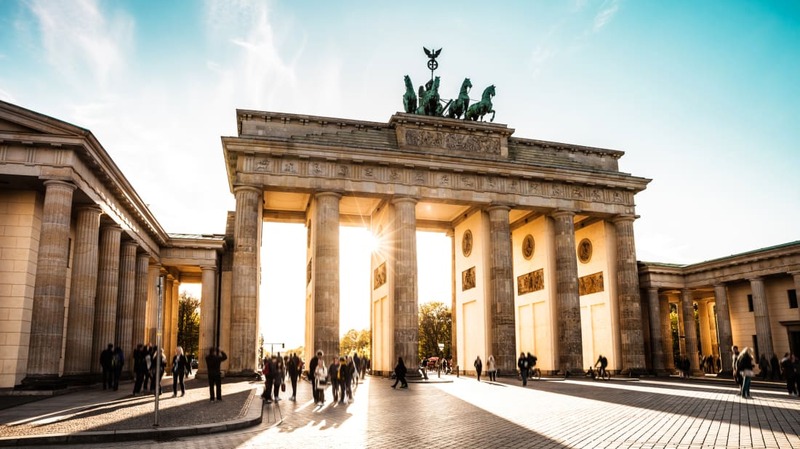 Created in 1920, Friedrichshain gets its name from the nearby Volkspark (People’s Park) Friedrichshain, built to celebrate the 100th anniversary of King Friedrich II’s coronation. (The word hain means grove.) In 1933, when Berlin fell under Nazi rule, the district was renamed Horst-Wessel-Stadt, commemorating Horst Wessel, the 22-year-old Berlin Sturmabteilung (stormtrooper) leader who was hailed as a martyr by propagandist Joseph Goebbels after being killed by members of the Communist Party in 1930. (Stadt means city in German.) The name Friedrichshain was restored after the war ended. Many Berlin districts bear the word kiez in their names—it means neighborhood or community. Bergmannkiez is named for its main thoroughfare, Bergmannstraße, which was named after the wealthy Bergmann family, which owned property in the area. Prior to that, the street was called Weinbergsweg (“Weinberg’s Way”), which still exists elsewhere in the city and is named for the nearby Weinbergspark (which is named for a café of the same name that once operated there). This area began life as just Treptow, a village inhabited by Slavic people in the 6th century. Treptow itself is a Germanization of the Polish word Trzebiatów, also the name of a town in West Pomerania, which was once part of Germany but is today part of Poland. It’s a place name possibly derived from the Polish word trzebia, which means "clearing." The word Alt was later added to the village’s name—it just means "old." Although most of the town of Rixdorf was absorbed by the aforementioned Neukölln neighborhood, part of it remains along the Neukölln border. Rixdorf was originally a tiny historic village called Richardsdorf, or “Richard’s valley,” and the area has been inhabited since at least the mid-1300s, but the modern incarnation dates from 1737. (It’s not clear who the eponymous Richard was.) Rixdorf was a just nickname at first, but later became official. Today, it’s part of Berlin proper and is often known as Böhmisch-Rixdorf, or Bohemian Rixdorf, for the Protestants coming from Bohemia who lived here in the 18th century. In Mitte, the neighborhood of Nikolaiviertel—or Nicholas’ Quarter—gets its name from the St. Nikolai-Kirche, the oldest church in Berlin, parts of which date from between 1220 and 1230. Originally a Roman Catholic church, it became Lutheran in 1539. The church was almost destroyed during World War II, but in the 1980s authorities began reconstruction efforts in the area, meaning many of the area’s quirky historic-looking houses were actually built after the war ended. For just shy of $1 million, a ghost town in California’s majestic Inyo Mountains could be yours. 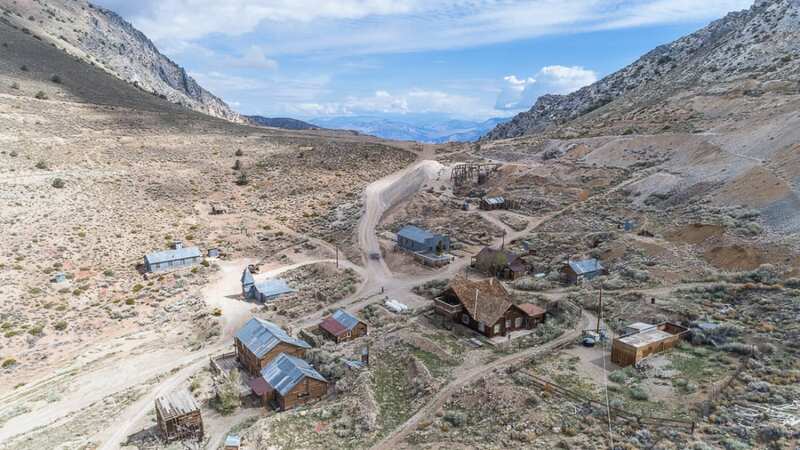 Cerro Gordo, a 19th-century mining town that served as the “silver thread” to Los Angeles, is now up for sale via Bishop Real Estate in Bishop, California. Walking tours of the property can be booked via Cerro Gordo’s website, and those will continue to be offered until the property is sold. The listing was just posted online a week ago, but Rasmuson said the property has already received “quite a bit of interest,” mostly from history lovers who have visited the site before. Cerro Gordo, meaning “Fat Hill,” received its name from Mexican miners who combed through the area in search of silver before it became a commercial mine, according to the town's website. In 1865, a prospector named Pablo Flores started a mining operation at the nearby Buena Vista Peak. It didn’t take long for word to spread, and within two years prospectors were flocking to Cerro Gordo. A businessman named Mortimer Belshaw is the man who really put the town on the map, though. In 1868, he brought the first batch of silver to Los Angeles and later built a toll road to supply the burgeoning industry. Within a year, the mine was the largest producer of silver and lead in California. “If you look at the history of Cerro Gordo, it was really instrumental in the expansion of Los Angeles,” Rasmuson says. One of structures on the Cerro Gordo property—the Belshaw bunkhouse—still carries on his legacy. The town may be peaceful now, but it wasn’t always so. In the 1860s and ’70s, the town saw a murder per week, according to a Los Angeles Times article from 2006 about the restoration of the property. 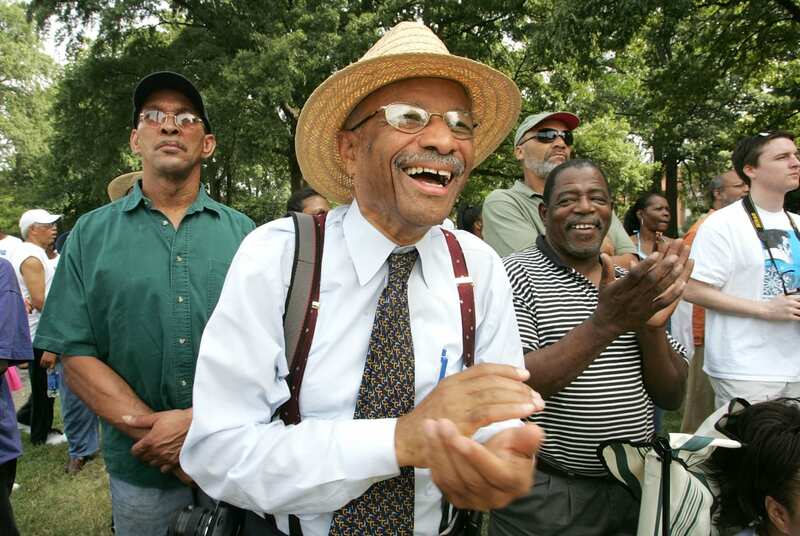 The property’s late owner, Michael Patterson, told the newspaper that the only sound for miles around “is the whistle of the wind blowing through all the bullet holes in every building up here." For those who aren't afraid of ghosts, this little slice of Wild West paradise might just be the perfect place to live. Keep scrolling to see more photos and a video of the property.